Deciding to build a home is one of the most impactful decisions that most people will make throughout their lives. Many homebuilders are unaware of the many options they have available, so this article will investigate each of the options. Comparing each of the methods of homebuilding, it will illustrate why pre-fabricated wall panels are the ideal method and will also give examples as to why Pacific Homes is the superior choice amongst its direct competitors in building panelized houses. While building a stick framed home, wooden wall components are exposed to the elements for weeks or even months. As the wood gets wet and then dries, it warps and will even begin to grow mold which will significantly impact the strength and longevity of a home. 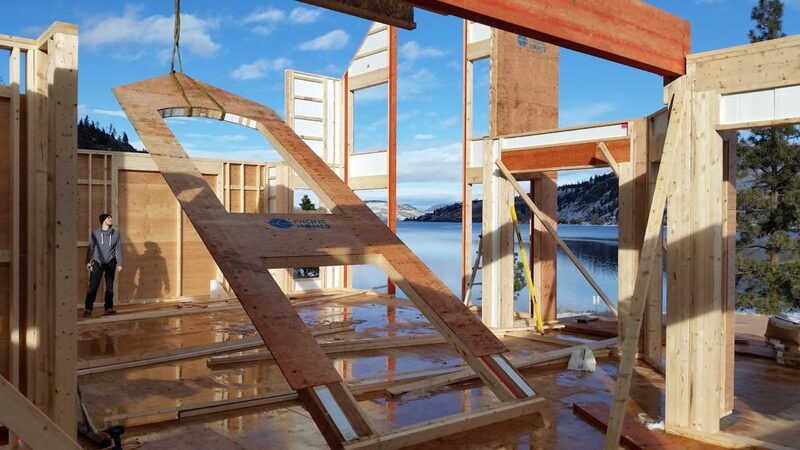 A house built by Pacific Homes can have all of its walls and roofing completed, leaving the wood covered and dry from that point on, in as little as a week. Click here to see a Pacific Home go from the beginning stages to having completed roofing in only 9 days! The Pacific SmartWalls® are built in advance in a climate-controlled environment to ensure their integrity. Building a home is an incredibly stressful time for anyone but working with Pacific Homes will lessen that stress significantly. Using traditional methods, the home owner must coordinate with many tradesmen throughout the process. To ease the associated stress, Pacific Homes will have a Build Specialist aid their customers every step along the way. Because the walls are factory pre-built, fewer contractors are needed as well. The Build Specialists will also connect customers with everyone needed from inspiration to completion so that customers will have minimal research needed and they can be confident that whoever they hire will be trustworthy professionals. When constructing a Pacific Home, a price is set and agreed upon before any construction begins. This differs from a stick-framed build where a home owner has a good idea of what the price will be but can never be at ease due to the possibility of unforeseen costs. Banks also prefer the security of our building system and our guaranteed pricing. These distinctions make the home building process as positive and straightforward as possible. 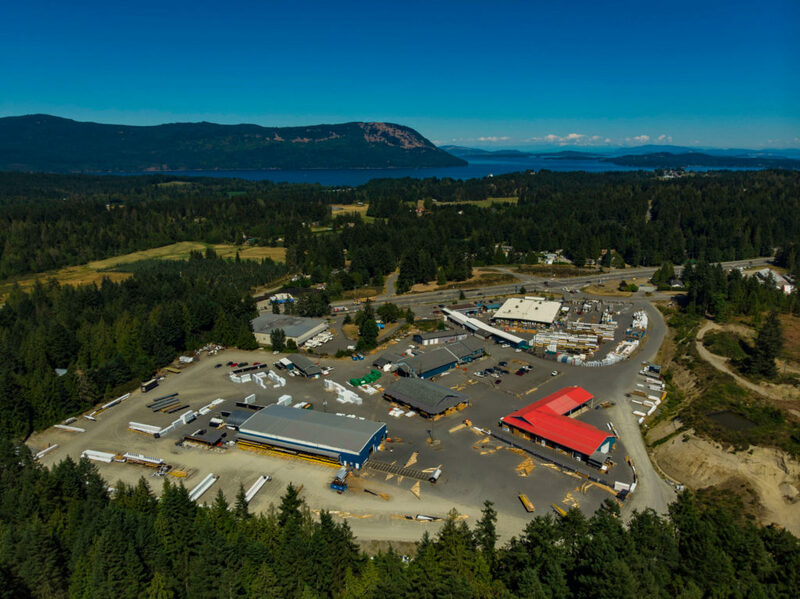 When constructing with Pacific Homes, a customer can be proud knowing they will reduce the waste created by traditional building methods as well as using the most environmentally friendly materials available. If a customer wants to create an entirely green home, Pacific Homes will be happy to accommodate. 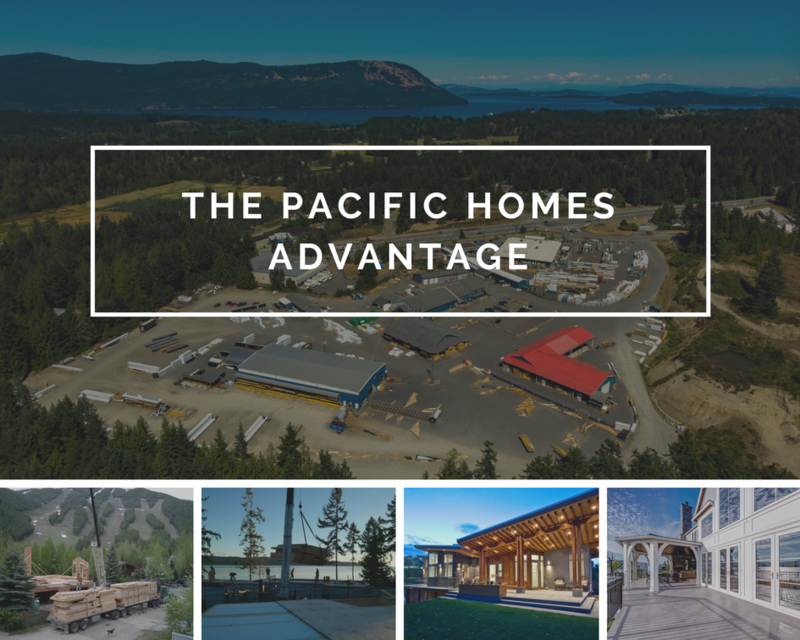 If solar power, a system to recover grey water, Pinkwood Engineered Wood Products, or any other environmental advancement is desired; Pacific Homes is committed to giving customers every option that will make a Pacific Home as ‘green’ as possible. Click here to learn more about our commitment to building green. One misconception frequently heard by us at Pacific Homes is that we build pre-fab modular homes. We believe that constructing wall panels in factory and assembling them onsite is the superior method of home-building. 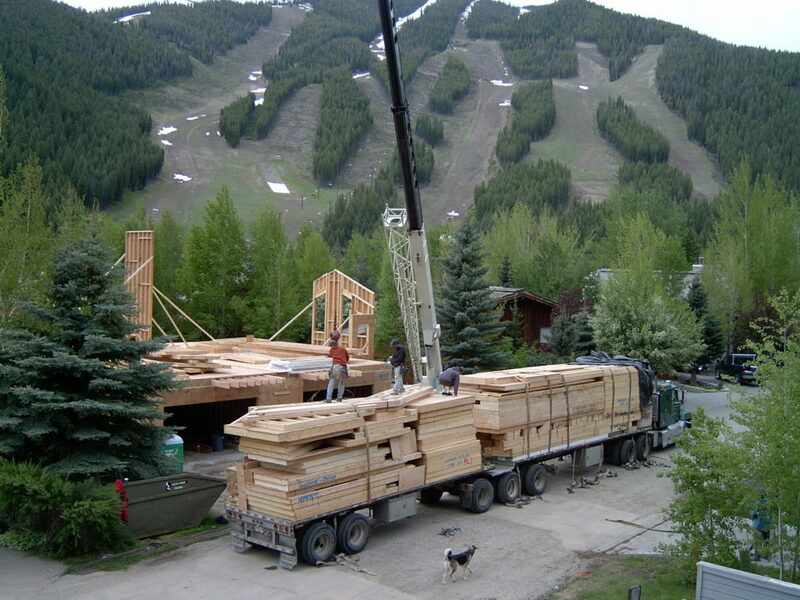 One advantage to assembling homes on site instead of at our facilities is that shipping is simpler and cost-effective. Pacific Homes will ship to any hidden corner of the world, whether over land, sea or through the sky. 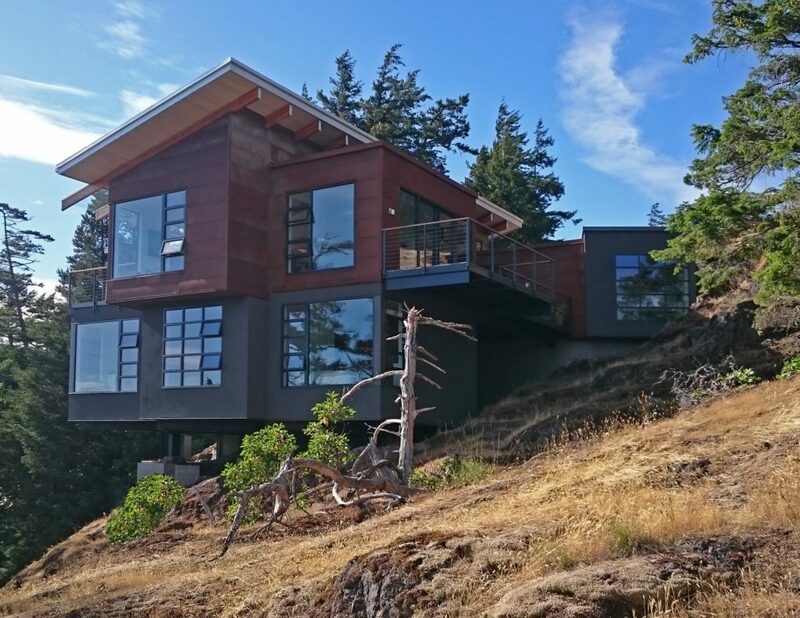 A Pacific Home also gives the customer much more flexibility in comparison to a pre-fab modular home. Customers find that modular homes are often cramped and boring in design, with the most significant issue being their impersonal feel. With the ability to ship the walls individually, a pre-fabricated panelized home can be custom tailored to the individual customer and can be any size and shape that is desired. Though most houses are built through the methods discussed above, Pacific Homes are not alone in building panelized homes. Despite that fact, we still believe that we have a competitive advantage regarding the quality of homes that we produce. Many of our direct competitors offer a series of designs that a customer can choose between. Some of these companies will even allow special renditions made to those plans to better suit their customer’s wants. What completely separates Pacific Homes from its competition is that every detail of a Pacific Home is completely customizable. We do offer our series of Inspirational Homes, which you will find here, but they are named appropriately; our hope is that the Inspirational Homes will inspire a customer to eventually arrive at their dream home. By taking pieces of many homes that appeal to them, our customers can work together with our design team to create a perfectly unique home that suits their every need. Many of our Inspirational Homes were gathered as custom homes created by previous customers, so we do have some people who fall in love with one of the designs, but generally we find that people prefer to customize their home to more perfectly fit their lifestyle. 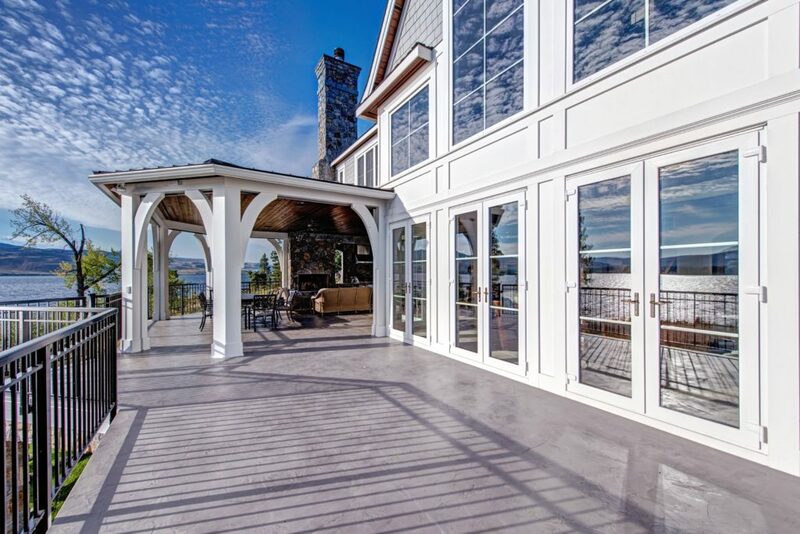 The other advantage that Pacific Homes offers that exceeds our competition is the many benefits of our Pacific SmartWall®. A Pacific SmartWall® minimizes thermal bridging; this is the amount of wood that acts as a bridge between outside and inside temperatures. By reducing the amount of wood that can act as a thermal bridge, the Pacific SmartWall®’s insulation performance is far higher than a conventionally framed 2×6 wall. A 2×6 Pacific SmartWall® is actually 40% more efficient than a traditional 2×6 with an R-Value of R22. In addition, a Pacific SmartWall® greatly reduces the possibility of moisture buildup within a wall cavity. Moisture within a wall can lead to multiple problems such as a growth of mold so by reducing its existence as well as saving customers money every month on heating or cooling their home, the Pacific SmartWall® puts Pacific Homes a step ahead of our competition. When comparing the different home building methods, it is clear that Pacific Homes’ method of prefabricated wall panels is ideal. We are also confident that we are producing a superior product. If you are interested in building a dream home of your own, get in touch with us here!